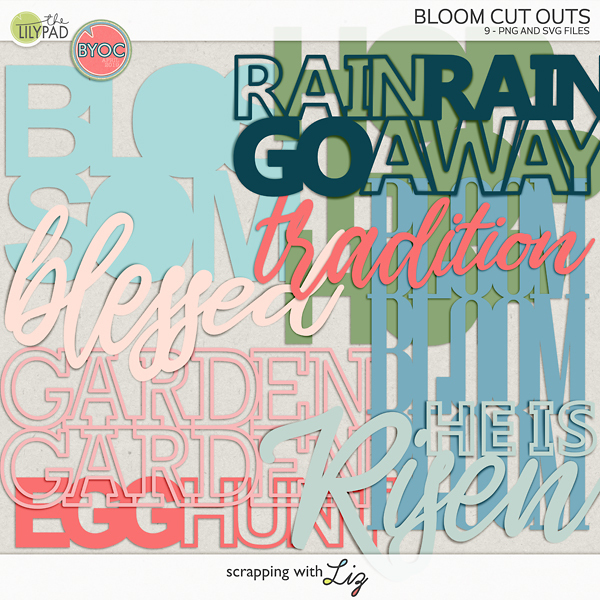 Scrapping with Liz: 2015 Week 10: What a Week! It's been quite a week. Lots of fun was had, but lots of emotional things happened as well. Since it's hard to take pictures of the hard things I journaled a little bit about it on the page. I know one day I'll look back at this page, and I'll read that journaling and see how, in the end, it all really did work out even though it seems impossible right now. 1. My father-in-law is in the hospital. My hubby flew to see him last week. Right now he's stable and has a long road of recovery ahead of him. 2. Matthew has Cochlear Implant surgery scheduled for April 14th. Our insurance has denied coverage. We are appealing. This has been a super long process and we don't want to have to put it off any longer. We need them to approve it ASAP! 3. Have I told you we sold our house and have to move in a week? I've been wanting to blog about this and how important it is to take pictures of the space you live in. 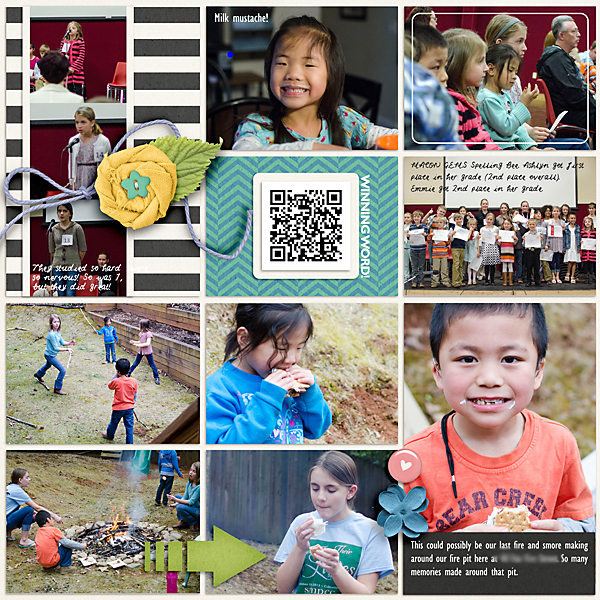 I've thought about how many pictures I've taken with our kids sitting around the counter or dining room table, or playing games on the floor, or out back around the fire pit. This is the home we brought two new children into. I remember (with both of them) pulling into our driveway and just feeling this huge relief that we were all home together. No one was on the other side of the world. I do want to remember all the wonderful memories in this home. I also have to remind myself that home is where my family is and not just the house. Geesh, I'm just an emotional wreck over here. This whole packing and moving thing has put me behind on Matthew's Album as well. Not sure if you noticed, but I haven't posted any new pages in a while. 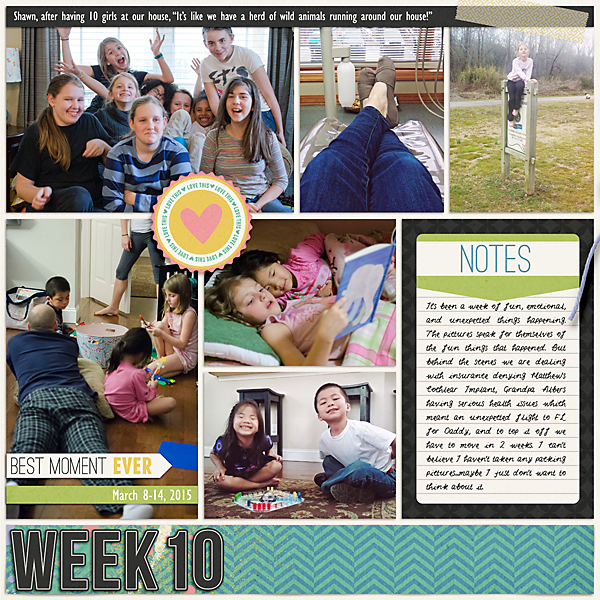 My focus right now is just keeping my head above water and making these weekly pages. 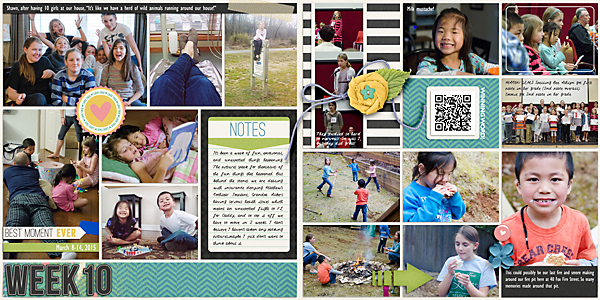 It might be all you see of me over the next month or so...besides awesome new templates! 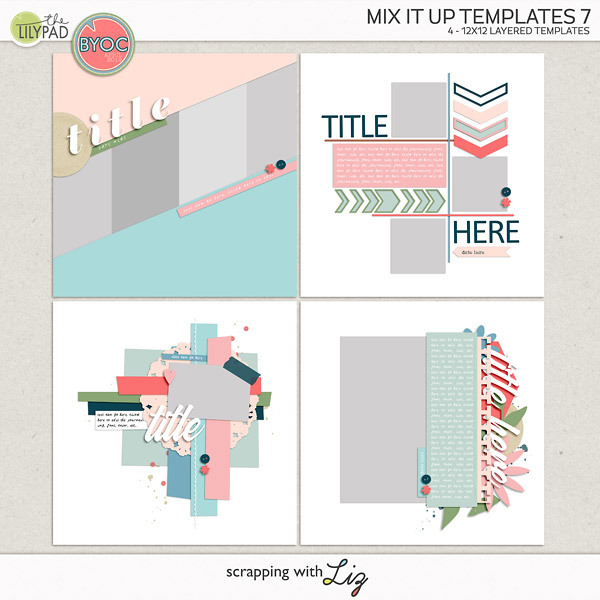 I do have a whole months worth of templates ready for you so you don't have to worry about missing out on those. Once we move and get through Matthew's surgery I'm hoping things will die down a little, and I can finish up Matthew's Album. Here's a closer look at the pages if you want to take a look.